The China Money project was created by the Chinese export-import company JP China Group (headquartered in Beijing) to support exports from China by offering effective financial instruments to importers of Chinese goods. -Chinese suppliers who can’t, or don’t want to, work on the basis of a letter of credit (bank guarantee). As you can see, all of these issues are directly related to finances. One of the significant downsides to international trade, including trade with China, is the “long money” factor, i.e., slow returns on investment. This business (wholesale purchasing from China) often forces importers to attract significant financial resources, and tie up their circulating assets in goods that are being manufactured, in transit, or in a warehouse. It is sometimes necessary to acquire loans from credit unions and banks, which leads to additional interest costs. Nor is it always possible to get this financing; as a rule, short-term loans aren’t profitable for banks, and the interest rates for this type of loan are well above the minimum. Another factor adding to the importer’s financial burden are the customs payments required in the destination country, which must also be paid as soon as the goods go through customs. All of this has a notable effect on the price of the end product, and, therefore, the importer’s profit. Chinese producers, however, often don’t want to hear about problems facing their buyers, and are reluctant to make concessions and lower prices or grant deferred payments, even just to the port of destination. Their position is understandable; they have to maintain their factories, pay employees, and buy raw materials for future needs. Chinese producers may also lack effective leverage to ensure payment from buyers, which increases their financial risk. In short, all the parties involved are doing what they can in order to solve their own problems by themselves. VAT refunds – most governments throughout the world provide incentives to their exporters through this very effective instrument, and China is no exception. If the company exports a large amount of goods, and everything is in order with the documents, and with the company’s reputation in the tax and customs authorities, then refunds can be collected within three months from the moment of export, with a maximum refund rate of 17%. Tax incentives, including profit tax incentives (the profit tax in China is 25%, but that rate can go down to 20% or even 15%). The tax authorities generally treat exporters well (if the latter are law-abiding, of course) in recognition of their role in moving Chinese goods into global markets. International exhibitions. The Chinese government partially compensates expenses for companies taking part in international exhibitions: stand rental, flight, and per diem costs. As a rule, this compensation amounts to about 50% of total expenses, which anyone would agree is quite generous. Alibaba. This resource helps move goods to international markets. Half the cost of posting information on the site is also compensated by the government. Sinosure. This state-owned company provides export credit insurance, covering risks to exporters when they supply goods/equipment without upfront payment by the buyer (deferred payment). That is, for a certain percentage, exporters can get insured against the risk of non-payment. These are all highly effective instruments that our company has been using for many years now. Unfortunately, there is no established international practice of providing incentives to importers (with the exception of importers of hi-tech products). The best importers can hope for is a 0% duty during customs clearance, and to sometimes avoid paying import VAT – but these are exceptions to the rule. This is an understandable situation, however; it is in the interest of any government to develop domestic production, support the creation of a large number of jobs and more export of goods, and, accordingly, foreign currency revenues and international investment. That’s why the state actively supports exporters and is less invested in supporting import, since the latter doesn’t create jobs or develop production, but does lead to foreign currency outflows and drives inflation (in addition to goods, importers also “import” inflation). But importers are not to blame for being involved in import instead of production. In the current macroeconomic situation, the majority of global production is centered in Asia: China, Vietnam, India, and other countries, and the rest of the world are consumers. It’s useless to swim against the tide, which is why we have to adapt our actions to the existing macroeconomic context. Export VAT refunds, comparatively low bank loan rates for exporters, and other financial instruments, as well as tax incentives (including profit tax incentives), all amount to significant financial dividends in the hands of Chinese exporters; this is money that the Chinese government shares with its exporters. The main goal of the China Money project is the redistribution of this flow of financing from the Chinese government between exporters and importers of Chinese goods and equipment. streamline work with China for international companies: including expert and timely document prepration for customs clearance in the destination country in strict accordance with importer requirements. The China Money mission is to facilitate the increased export of Chinese goods and equipment to international markets through the provision of financial instruments to importers and improving conditions for doing business with China. All information provided here by China Money, including procedures for our business cooperation, settlement, loan conditions, and the cost of our services, is of a general nature, and these proposed services do not constitute a public offer. Each situation is unique and requires an individual approach, which we guarantee all of our clients. China Money is a team of professionals who understand the specifics of the Chinese market, and have many original ideas on how to help your business and achieve an optimal financial result for you when working with China. Our pricing is flexible, and we value our reputation; we are interested in serious, long-term client relationships. When you choose our company, you are choosing a reliable and responsible business partner. We will tell you how to make more money. We don’t have any hidden profits or expenses; we provide you with documentary evidence for every action we take on your behalf. We build our business relationships on a basis of total transparency and mutual trust. 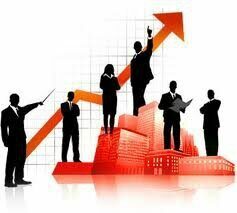 Try our services, and you will see how pleasant and profitable working with the Chinese market can be.